Your phone probably fits nicely in a pocket but where are you going to store your tablet? Or magazine? Or second phone? 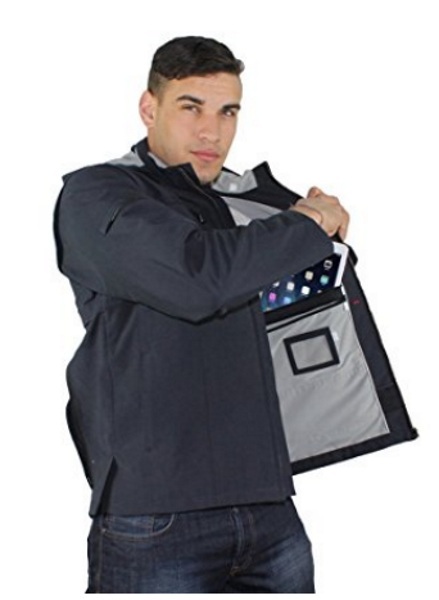 If you struggle with pocket space then good news, the AyeGear J25 is the jacket with a whopping 25 pockets total. On the outside, this looks like a normal navy-blue jacket. On the inside, you can smuggle just about everything into a movie theatre without even trying. Bring a whole meal, there’s more than enough space in this thing without making anyone suspicious. 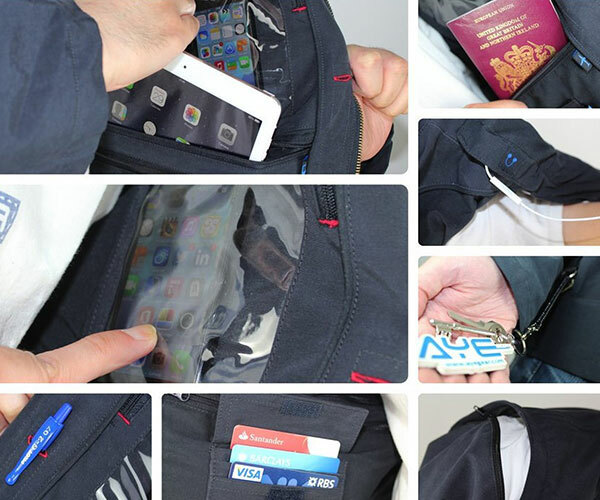 There special pockets for smartphones is made so you can use your phone while it is in the pocket. It is clear and is sensitive to touch so you can text or swipe as you need. Why you would need this, I don’t know but it’s there. As a jacket, it’s plenty warm and has detachable sleeves you can do that vest thing. If you need some extra pockets, all this space can be yours for $199.